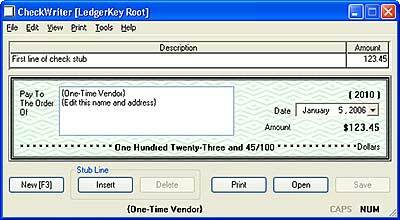 Receives vendor-check information either from direct entry or as passed from our accounts-payable application; prints checks with detailed stub; processes checks into vendor totals or (optionally) our general-ledger application. To create a check, just fill in the blanks and click Save. You can have as many stub lines as are on your check. 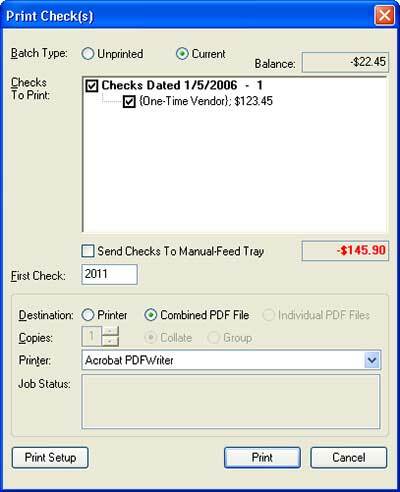 You can print checks singly or in batches. The printing window (at right) shows your present and resulting bank balances. At pretty much any point, you can press F9 and review the data for the current vendor. All the reference information is right there in front of you. 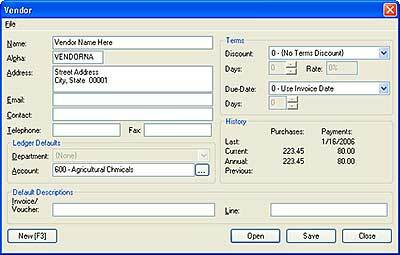 We use a familiar Windows "wizard" routine for adding new vendors to accounts payables. 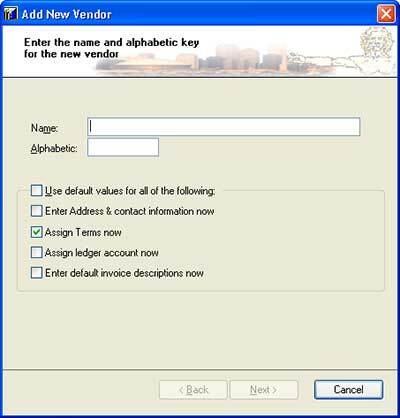 You can customize it so that creating a new vendors can be as easy as pressing F3 (to start the wizard), keying in the vendor name, and pressing Enter twice. Or you can have the wizard prompt you for specific information, checking as it goes to insure accuracy.